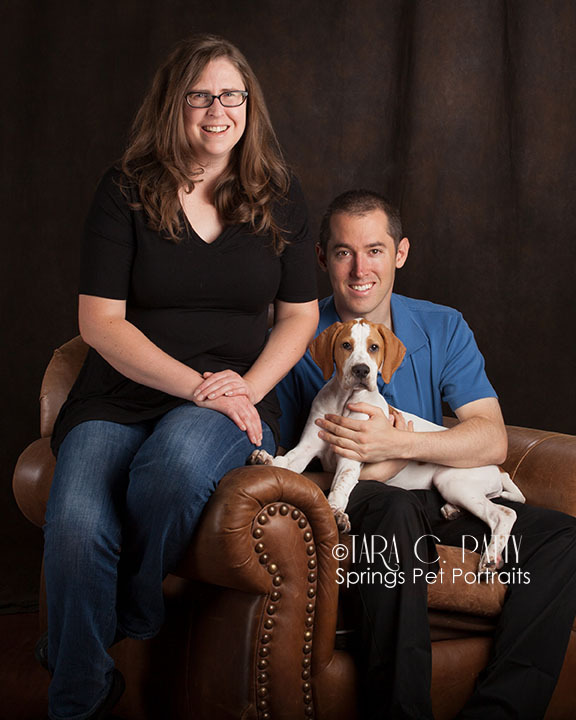 The Nelson's with their 3 month old English Pointer. Have you ever wondered, "how did they get that shot?" Well moments like the photo above don't last long so we need to be on top of our game. Below is a funny video that brings you Behind the Scenes of a portrait session with a three month old English Pointer and her owners. Enjoy.